I have, somehow, a few friends who didn’t watch Seinfeld, and you know I am so very confused by you. For the rest of you, you will probably remember George Constanza’s dad Frank shouting “SERENITY NOW!” when he worried that his blood pressure was rising. I’ve tried shouting Frank’s mantra over the years, but it doesn’t quite do the trick. After the nearly 7 years of crying, whining, screaming, nonstop chatting, arguing etc.etc.etc. of parenting, and then adding on in the last year several other things that have picked up the pace of our family… I’m generally exhausted. No more so than other parents, perhaps, but stay with me here. The need for quiet has increased. The need for showering alone has increased. Also, the need for a calm breakfast, a quiet walk alone, a chance to look at nature without a firefly being crushed before my eyes or a lone bloom plucked off my plant…. Where do you go when you need to truly experience calmness? And stillness? Girls’ trips and spiritual retreats are nice and they get near these things, but is there more? 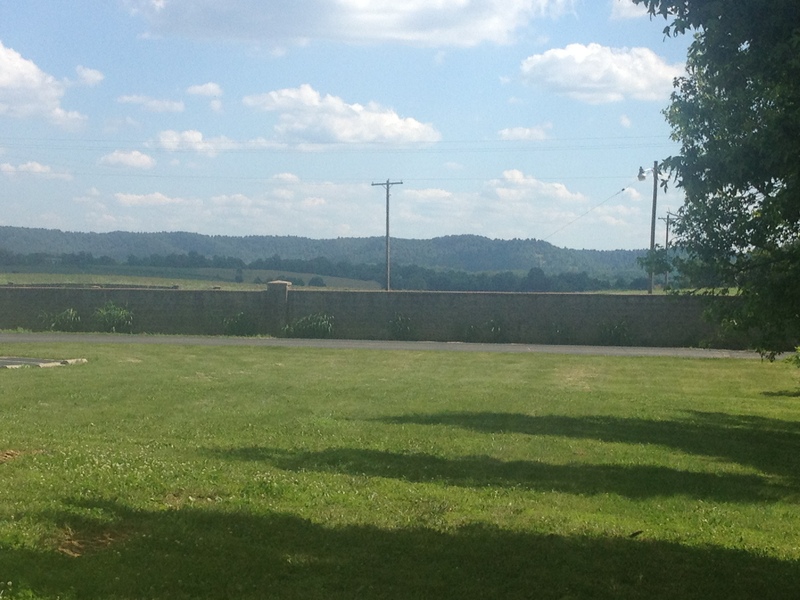 And then, out of a strange string of events that is too boring to share here, Gethsemani presented itself to me. Gethsemani is a Trappist monastery that has been in Kentucky since the mid 1800’s. If you’ve ever heard of Thomas Merton (writer, monk, activist), you probably know that he lived in hermitage here. Wait—a gorgeous, silent place with like 2000 acres… in the middle of Kentucky? And before you knock Kentucky, know that I am from there, and hold your tongue. I did more research. Looked up the address and calculated that it is not far from my family, which makes it more accessible somehow. But what would I DO there? I told my good friend that I was worried that if I retreated by myself that I’d either go crazy or get possessed somehow. I researched more. Ok, so if I go to Gethsemani, what will I do all day? What does a day of silence and no demands feel like? I found this. Hmm, this woman gives all sorts of awesome info AND she did not go berserk. And wait, so this place makes fudge that I can buy? BOURBON FUDGE?! And they feed me, and even my fish-a-tarian diet?? That’s it, I have to go to there. These are signs. I think? Why does this still feel scary? And then again, through a strange series of events, I found myself, while visiting in Kentucky, at a tourist site geared toward Boychild…10 minutes away from Gethsemani. And let me note that when you are in this area searching for streets like “Monks Rd.” which is where Gethsemani is….your GPS will also pull up nearby streets such as “Moonshine Rd.” Think I’m lying? Go there and try it. So I told the kids that we were taking a detour to check out some chocolate in a place WHERE THEY HAD TO BEHAVE AND BE QUIET. SERIOUSLY. Because although I think I’m a decent Catholic and a good rule follower, I have this innate fear of priests’ (therefore monks’) and police officers’ authority. I slither around them like I’m guilty of all possible sins and infringements when that is not the case. If reincarnation is real, I was a sincere badass in my last life. I need my kids to not draw attention to all the things I have not done. I digress. The abbey. Oh my goodness, it is SOOOOO quiet. Just birds, wind, an occasional car…so lovely. Except when Boychild spoke. I knew we had to make this fast. We went inside the gift shop and bought homemade cheese (made at the abbey), bourbon fudge (those monks are NOT messing around; that bourbon burns your throat on the way down! And I didn’t share my block of this with anyone, no regrets. ), peanut butter fudge, and several books (I opened a book of daily thoughts from Thomas Merton and it opened to my birthday! How could I not buy that? The Spirit of Thomas Merton WANTS me to visit Gethsemani.). We didn’t escape before Boychild tried to ring some Eastern gong bell for sale there, but the monk who came up to him was very nice and conversed with him (apparently this monk was allowed to talk in the gift shop). I picked up some postcards and vowed to return. All I had done was step out of the car and go into the gift shop. And yet….this peace. But seriously…I want to find a place where the silence becomes too much, don’t you? Parents, can you even fathom?? I promised my friend that I’d call and reserve us, try to get us in a few months out, since weekends book fast. I ran out of time before the family and I went on vacation. A great, relaxing, beach vacation except that Boychild was having a super greedy whiny screamy tantrummy toilet-accident-y week. And then I had some amazing random dream about Justin Timberlake and when it was quiet on the outside of me, my brain played “Suit and Tie” on a constant loop. Um, thanks, JT. I’d still just like some quiet. I want to listen to the actual waves, JT. I finally made the call to Gethsemani. A few hours later a monk returned my call. He introduced himself as something, but again I was feeling nervous talking to a monk, so I didn’t catch it beyond “Brother.” He told me that unfortunately the weekend I’d requested was booked. But our words crossed, and he’d stopped talking. Long. Silence. Did I offend? Uh-oh. “Hello? Are you still there?” I answered. Did he hang up on me? Maybe he knows I’m a terrible person? Yes, Manchild, for some, watching golf on television isn’t enough quiet. I told my mom and she said, “It’s going to drive you nuts from now on, wanting to go there. Your mantra is going to be ‘Gethsemani Now!’ when the kids stress you out.” Yeeee-up. It sure is. I thought about the conversation on the phone with the Brother, and then I realized that though I’d been perplexed by the silence when our words crossed, this is perhaps how courteous people become when they DON’T TALK ALL THE TIME. This man, I’ll just call him Brother Awesome, ok?….Brother Awesome made me feel more listened to than I’ve felt in years. In 90 seconds, over the phone. So while the schedule doesn’t work out right now, I started wondering, when I do get to go, will I become a better listener? Will I not only write and contemplate, but will I get comfortable with the silence? Last weekend I was brave enough to camping out in backyard with Girlchild and Boychild and in the middle of the night I could still hear the neighborhood’s A/C’s, distant highway traffic, and just a general hum. What will happen when I am up after 3:15 am at Gethsemani and go outside to wait for the sunrise (I am so excited for this!)? Will the stars be brighter? Will the muse speak more loudly? Will the birds come say hi like in Snow White? Will I feel weird if I cough or clear my throat out loud? Do people get evicted for noisy colds? Does laughter count? What happens when people are gassy? Does God have things to say to me? Will JT constantly loop in my head or will “Suit and Tie” fade out? Gethsemani now!!! If you are curious about Gethsemani, fudge, etc. you can check that out here but you are not allowed to go there before I do. Just listening to the music the people in the flat above mine enjoy .. Counting down, title 3, title 2, title 1 – then my patience wears out and I start my radio, turn the volume up … it works, usually. 3 songs they are allowed before I remind them they are not alone in this house. Could I survive a place like Gethsemani? Probably not. But there are more and more moments I wish I could go to a place where I do not have to endure the loudness of others. Every year (except the year that Little Bird was born) I go hunting with my uncles and cousins in Northeast Pennsylvania. (I’m in Texas, so it’s a big trip). We go out on my great-uncles farm, which is not too much different than it was in the 1840s…a very slow, isolated farming community in the lower Catoctin Mountains. At the end of the day, I climb to the top of a hill that overlooks the valley, and sit on a hay bale – alone – for about 15 minutes…it is so quiet I can’t even hear airplanes. I live for that 15 minutes every year – it recharges my batteries like nothing else. Gethsemani sounds wonderful, and I’m going to look into it. Glad you have a peaceful place that you go annually–it really does recharge, like you say! Everyone should experience that in some way I think. We put a garden in our yard last year and on the mornings I go sit in it, before the kids are up, I get to experience 5 min. of zen…can’t imagine the yard without it now. Can I come with you?!!! (In about 5 years?) PLEASE?! Favorite laugh out loud moments: “…a chance to look at nature without a firefly being crushed before my eyes …” and absolutely the JT reference. Absolutely you should come! :). We can play JT on the way down. Or not.